Construction has now commenced on the site at Westcote Mews. Formål are pleased to announce that Project 55 London Ltd have been contracted to carry out the work that is due to be completed in late Summer 2017. The site is currently occupied by a mews of 19 workshops that is accessed by an undercroft through the existing house at 63 Westcote Road. 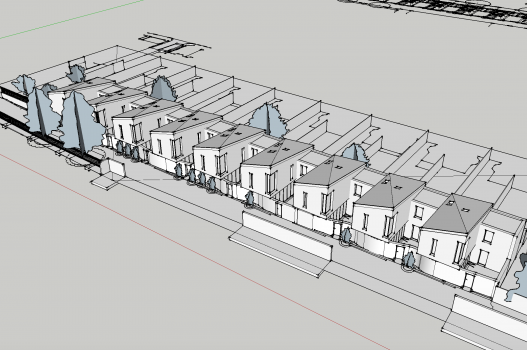 The derelict workshops will be demolished and replaced by nine modern three-bedroom houses that will front Eardley Passage, whilst the existing house is due to be structurally remodelled and will undergo a comprehensive refurbishment. More information on the development will be available through the microsite that will be launched in the coming months. In the meantime, if you would like to find out more about the scheme then you can register your interest through the Current Projects section of our website, or else contact us directly.